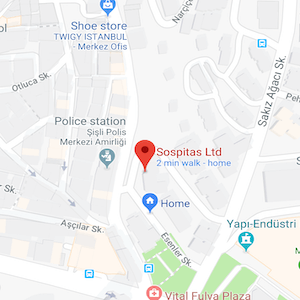 The most experienced hair restoration hospital in Istanbul is working with Sospitas. Our hair specialists are providing a minimally invasive procedure and natural aesthetically appealing hairline. You can see some of our results in our gallery. 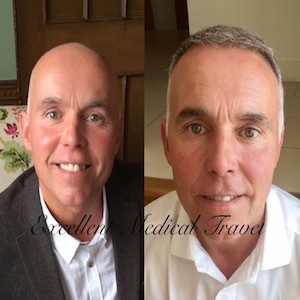 As a result, FUE hair transplant men is one of our specialisms. We are involved in almost every aspect of the FUE hair surgery experience. 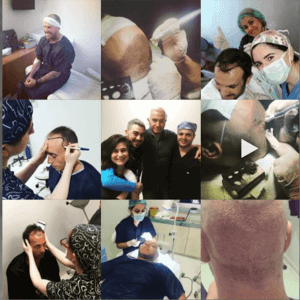 First of all other FUE hair surgery facilities have non-physicians performing hair surgery, Sospitas uses only specialists to perform the hair transplantation procedure. Therefore our clinical expertise results in reduced graft transaction and higher harvesting rates. 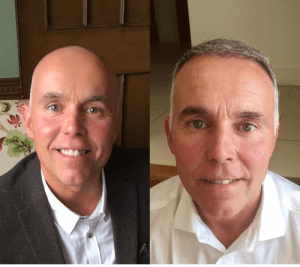 FUE is fast becoming the hair restoration procedure of choice. As FUE technology advances, better devices have emerged and we are proud to be ahead of the game. Therefore almost all our patients appreciate the natural aesthetic results with the FUE technique. 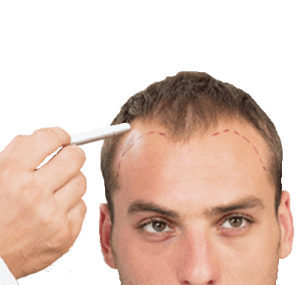 As a result, FUE does not require the surgical removal of a section of the scalp. Therefore there will not be a linear scar at the back of the scalp. FUE uses your own natural hair follicles without using a scalpel, sutures or staples. Finally, the most desired aspects of FUE is the noninvasive nature of the surgery. It has a quicker recovery time and no linear donor scar at the donor site. 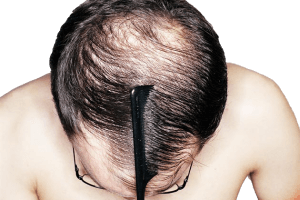 Hair treatment men with FUE removes individual hair follicles from the scalp and in their naturally occurring groupings of 1-4 hairs. So at Sospitas, we are able to typically harvest or surgically remove and implant 4000 hair follicles. In one surgical setting, it is done using 0.6 mm or 0.8 mm punches. In conclusion, more hair follicles survive the transplantation from the permanent zone of the scalp to areas of balding. Most of all the surgical procedure varies from patient-to-patient. Most of the time procedures end after 6 hours while in some patients 10 hours is required. For more information about FUE hair transplant, contact us. In Western European countries, but also in the US, the prices for aesthetic procedures are manipulated by administrative prices, insurance contracts and mostly labor costs. More than 70% of the medical expenses are driven up by labor cost. The main reason why the fees for a hair transplant in Turkey are much lower than in other more developed countries is the lower labor cost. Also, there are no administrative fees. The hair transplant procedure prices are easily 50% cheaper in Turkey. At our clinic in Turkey, we provide complete treatment plans with lifelong natural results for patients who have been suffering from the effects of hair loss. The safety of the procedure is ensured by the use of modern equipment that allows for the sampling of follicles with a high-density ratio. Success is our primary concern, our surgeons have a proven track record of successful hair transplants. The quality of the services does not mean that our prices are high. On the contrary, we offer high-quality services to patients around the world, at more affordable prices compared to many countries in the EU, the United States or the Middle East.